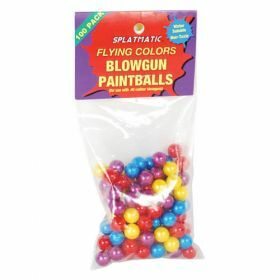 Paintballs for blowgun and/or sling shot. Get your game on with your friends with a good old paintball war. Available in 100, 250 or 1000 count packages.